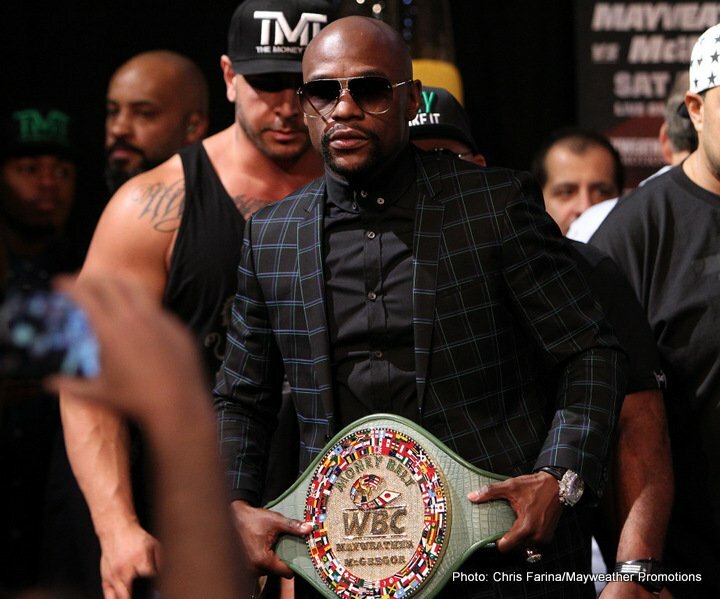 The "Great White Hype" & The Fight For Fifty- Why Floyd Mayweather Deserves To Break Marciano's record! This Saturday Floyd Mayweather has a chance to break the unbeaten record of 49-0 set by heavyweight champ Rocky Marciano and while I certainly won’t fork over money to watch what I feel will not be a competitive fight I am rooting for the fighter Mayweather (not the person. Don’t know him or care to know him) to win and become the new benchmark at 50-0. Before I explain my rationale I would just like to mention that never for one second did I feel Mayweather would stay retired at 49-0. I assumed it was all a simple ploy to milk a 50th fight for all it was worth and why apparently the trademarks for “his name and 50” were picked up while he was retired (if he planned to never return the trademarks would be worthless so there is no need to waste money on them). I also can’t believe Mayweather has sunk so low to find that 50th opponent. I don’t even mean to insult Conor Mcgregor but at the end of the day he has had zero professional boxing matches. I get from the money side why he is “the guy” but there were plenty of boxers with a better pedigree who would bring that money element or some form of it to make the fight profitable while at the same time making the thing more competitive (which is ultimately not what Mayweather wants). It is almost exactly like the movie “Great White Hype” except there is no shortage of opportunities for Mayweather unlike for Damon Wayans. I have also not bothered to watch any single promotion, or press conference for the fight (as I said watch the “Great White Hype” to get the idea) as I feel it is geared for a different type of fan. To me I have always enjoyed watching Mayweather in the ring against high class opponents and just muted out anything he said outside the ring and never paid attention to any of it. His job as a fighter has always been to do that and I feel anything else is irrelevant. So why do I feel he deserves to break the record? To put it simply Mayweather has satisfied my ultimate criteria for an elite fighter and that is quality of opposition. That is not to say every single fight of his was class but names like Corrales, Alvarez, Hatton, and Cotto are no trivial ledger (all undefeated at the time) of scalps. In fact in his career Mayweather only had 3 opponents with a losing record and as expected this was during the development stage. At the end of the day while this opponent is trash and the fight is useless, or to put it mildly geared towards “the other type of fan” Mayweather is as genuine a fighter as they come. He is a worthy torch bearer and I’d rather he hold the record than a punk with 51 wins, a paper belt, and 20 cab drivers and 15 construction worker opponents to his credit. Would I have liked a half decent opponent like a Berto? Sure. But this is boxing so we can’t always get what we want. Good Luck to Floyd on Saturday. If he loses he will make boxing look bad so for that sake hope he can as I suspect get it done. You are here: Home / Boxing News / The “Great White Hype” & The Fight For Fifty- Why Floyd Mayweather Deserves To Break Marciano’s record!